Hello everyone and welcome to my favourite post. As we are in a new month I get to share with you how my portfolio did last month. From all of the blog posts I’ve seen from other bloggers everyone seems to have had a very good July, I hope you are one of them. For me July was a good but quiet month, it was good because I received a high dividend total and quiet because I did not buy and new stocks. If you have been following my blog than you know that I turned my drip on for all my stocks so my cash goes up a little slower than normal. For the month of July I received a total of $543.91. A very good total as it beat last July’s total. Also on a positive note I have a goal of wanting to receive at least $6,000 in dividends so I need to average $500 per month so this total helps get me closer to that figure. My portfolio consists of three accounts here they are and the amount I received for each. First is the Tax Free Savings Account (TFSA) I received $175.17, next up is the Registered Retirement Savings Plan (RRSP) for this account I received $342.19. Finally my Locked In Retirement Account received $26.55. I saw a nice increase in July for this account due to my increased investment in Inter Pipeline and Corus Entertainment earlier this year. Later this my income will drop from Corus. I plan for the time being to stick with Corus and see what happens to the stock. Some nice big payouts for me in July, I love getting payments from BCE especially my first stock to pay five figures. New investments (BCE & Realty Income Corp) plus dividend increases are the reason for the increase in dividends received. Just one stock in this account and it pays monthly. 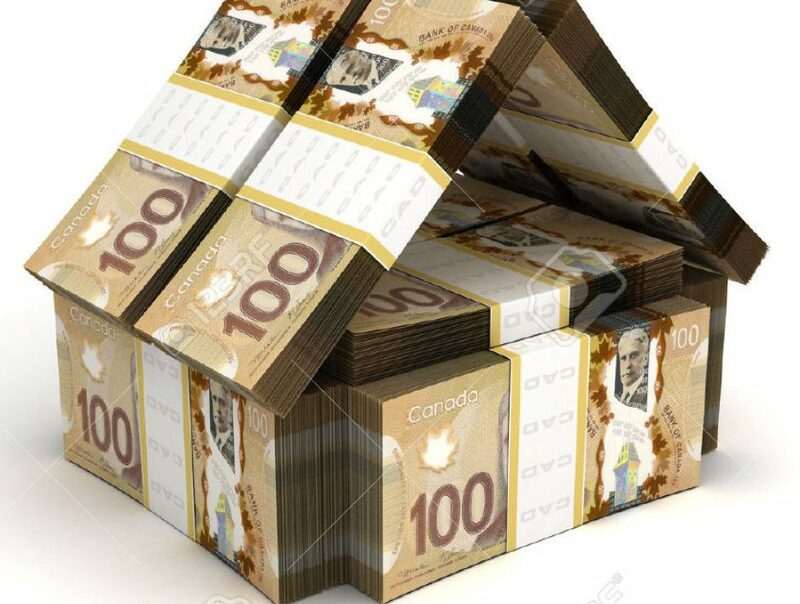 In July because I drip (Dividend Re-Investment Plan) all of my stocks my portfolio received 22 new shares which helps grow my future dividend income. Here is what I received. Below is a chart of the income I expect to receive from these new shares. As you will see the money adds up quickly through dripping shares. Since I starting dripping my shares I have increased my forward income by $87.36. I always like to look back and track my progress, whether it’s month to month or year to year. So far every month in 2018 has surpassed their 2017 totals. Well I have crossed the halfway mark for my 2018 goal. In two to three months I should be passing my 2017 income which is incredible to think about. July was a quiet month in this area. I did not buy or sell any stocks. Alimentation Couche-Tard increased their dividend to $0.10 per share. Well that will do it for my July income report. I hope you enjoyed reading it. I also hope that you all had a fantastic month and received lots of dividends. Hey Matt. Congratulations on another great month. I established a position in Enbridge last month, and I am keeping my fingers crossed that it works out. Their business model is strong. Thank you so much. Enbridge is my biggest holding I think it will do well in the future. There some worries over it’s debt load at the moment but I think that will pass. I really like house of money as well, I got lucky and found it. Good job. Lots of shares being dripped, dividend moving higher keep it up. Way to go Matt. Hope you can continue that streak of over $500 months to reach your goal. Nice seeing consistent growth coming from you every month. Helps with all the DRIP shares. Thanks, I certainly hope I can continue my streak. My DRIP shares are helping quite a bit. Can’t wait to read your post tomorrow. Wow – Matthew. Amazing results. Over $500 in July. That’s amazing. Your growth continues to be impressive and I”m enjoying watching your portfolio grow each month! Thanks Bert I appreciate that. A solid month Matthew! Well over $500 is a very good month. I’ve unloaded our Corus shares, don’t believe they will hold good shareholder value in the future, but I could be wrong. Took quite a hit on the sale, but still got 8 shares back on the drip 😉 So technically still a shareholder….. Thanks your probably right about Corus. I just want to see how they do with their new strategy. I also think the company is oversold. Thanks for reading. I have to agree with you on the oversold side of things. Guess I sold too soon?! Or way too late! Either way, it hurt. $543.91 is a nice haul of dividends, Matthew! Congrats for being on pace to beat your target for the year. We share a few similar companies. I noticed that you don’t hold any USD stocks though. Any particular reason or just avoiding the exchange rate? My long term strategy is to hold Canadian holdings in TFSA/Non-reg and all USD stocks will be held in RRSP. There’s no no withholding tax on dividend for USD stocks in an RRSP. Thanks for sharing. Thanks buddy. I actually do have some US stocks. Johnson & Johnson, Microsoft, Bank of America and Realty Income Corp. I only put Realty Income Corp in my post because they paid me a dividend in July. Thanks for reading. Nice update! It’s always great to receive over $500 of monthly dividends. In a few years you should be cranking your first 1K !! Thanks buddy. That would be awesome to receive 1K in a month. Again so many drips. That is awesome. keep it up man. Good YoY progress, Matt. Nice to see you cross the $500 mark and push further towards your annual dividend income goal. I was a bit worried you might not make the goal a few months ago, but the income is picking up some steam! Like you, I didn’t make any purchases or sales in July. I suspect I’ll be back on the board next month. How many visitors are you getting regular monthly? If you do this, you can be assured that you won’t have a difficult time getting these types of come back to you. Fantastic month Matthew!! Keep up the good work. $500+ is awesome and you’re close to your $6K dividend goal! You are probably already at your $6K for forward dividend yield right? Thanks! I have no idea about forward dividend yield I have never checked it. Maybe I should?